In need of some woodwork? Chances are you’ll want to hire a Jacksonville, FL carpenter. Carpenters work with all types of wood and can specialize in many different areas, including framing, finishing and custom-made furniture. Make sure you choose the right Jacksonville carpenter for your job by asking plenty of questions, viewing their past work and reading reviews. John Rourke Finish Trim, Inc. Installation of custom stairs and all interior woodwork including mantles, crown molding, wainscoting, built-in cabinetry walk-in closets and interior doors. Rulon International has been manufacturing wood ceilings and acoustical wood walls for over 25 years. 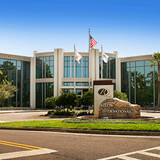 Rulon’s state-of-the-art headquarters and manufacturing facility is located in Saint Augustine, Florida. Rulon’s history of success is due to an unrelenting commitment to excellence in both product quality and customer service. Rulon is committed to giving back to the community. As Rulon experiences success as a company, we feel privileged to help those less fortunate, so they too may experience blessings. Marckell's main focus is carpentry, both interior and exterior, and door and window installation. Some outdoor projects we can help you with are decks, pergolas, pool cabanas, fencing and outdoor kitchens. Some interior projects we can help you with are crown moulding, wainescot, coffered ceiling, interior door replacement, interior trim, stairs and handrails, custom builtins, and kitchen cabinetry installation. I take extreme pride in my work and my goal for every job is to exceed your expectations! 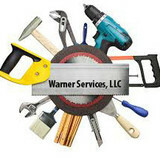 Choosing the right service provider can make a big difference in your remodeling experience. Most of the contractors listed at Houzz can perform a fine job ,but will you enjoy the experience ? Personality is nearly as important as performance. We strive to make your home improvement a pleasant experience. Consider Cavalier Trim for your interior improvements for home and business. Whether you are an existing homeowner looking to create a guest house, extra bedroom, office or rental opportunity, or new to owning your own home and looking to find a way that just makes sense, you have come to the right place. Tiny houses are bigger than they appear: they are a political movement, they are a work of art, they are a place to call home. Our Objectives 1. We focus on designing and building quality energy efficient tiny houses that have low operation costs. 2. We concentrate on building the best tiny houses that are durable and longlasting. Our wide range of building experience over several decades allows us to build tiny houses with creative ideas and unique solutions. This experience includes: residential and commercial buildings, off grid homes, and of course tiny houses. 3. We give a great deal of thought to how space will be used and pack a lot of function into each design. These units are great for vacation homes, hunting lodges, or even full time homes. We can deliver your new tiny house to site and optionally assist in setup. 4. We specialize in building tiny houses, custom structures and accessory dwelling units to suit any tiny home lover. We also offer building assistance for your own tiny house build and handyman service. 5. We guarantee high-quality construction for each and every project. Work with us and you'll agree that we're the best choice for your tiny house project. Life is too short to live it bound to financial obligations and needless possessions. Time is too precious not to spend every possible minute with dearly loved ones. We believe that in order to live life to the fullest, one must understand the true value of time and things that waste it. A tiny house will force one to just do that. Simplifying life and riddling oneself of time wasting possessions and obligations will in return create a more balanced life with what really matters. However, we firmly believe that the changes one must make will in return bring new and greater blessing. We keep this truths and beliefs in mind with every detail of each custom tiny home. We strive to design and create tiny homes that allow our clients to truly enjoy who and what is around them. Take the first step to achieving your dream of building and living in your very own tiny house! All things carpentry. More unique the better. Superior Millwork Company is proud of its long history, immeasurable experience and dedicated pursuit of quality manufacturing of Architectural Woodwork and custom cabinetry. We have supplied our products in virtually every type of structure or facility there is; from residential kitchens, closets, and offices, to educational facility classrooms and science labs, Governmental courtrooms and offices, Military Base barracks, child development centers, Healthcare patient rooms, Hospital lobbies, Hospital research labs, all the way to Air Traffic control towers and the most ornate Lobbies of office buildings and Hotels. We have even supplied and installed our products as far away Guantanamo Bay, Cuba. Today there are new challenges that Superior Millwork Company embraces with excitement. Renewable resources, LEED projects, and lean manufacturing strategies that help Superior Millwork Company become a better steward of the resources that we as a company have been trusted with. OTT Carpentry & Millwork is dedicated to bringing our customers the highest quality services through excellent craftsmanship, innovative building, high ethical and creative standards, and most importantly - a strong focus on customer experience. Residents of St Augustine Fl. We do home and backyard renovations. 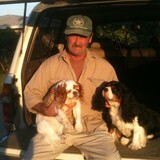 We are a family owned business with over 40 years In construction. The owner is on the job. Background: custom home builder, custom inground swimming pool builder, custom Saunas, Owner has BS degree in industrial arts from Millerville University in PA.